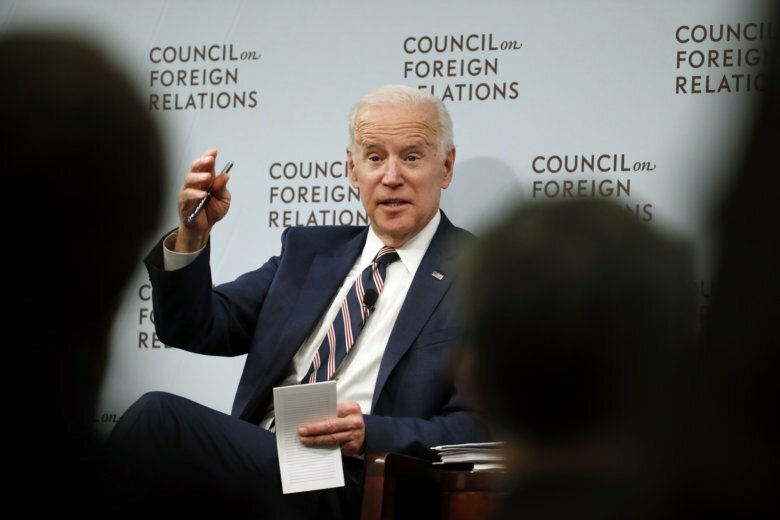 NEW YORK (AP) — An upcoming audiobook will feature former Vice President Joe Biden talking about his late son Beau with such interviewers as Stephen Colbert, Constance Wu and Aaron Sorkin. “Conversations With Joe” will be released Oct. 16 by Audible, the publisher and distributor owned by Amazon.com. The recordings are taken from Biden’s “American Promise” tour from last year, when he was promoting his memoir “Promise Me, Dad.” He centered the book on his reflections on Beau Biden, who died in 2015 of brain cancer. Audible announced Wednesday that “Conversations With Joe” will feature Biden’s thoughts on his son’s life and his family’s determination to honor his memory. Beau Biden was an Iraq War veteran who later served as Delaware’s attorney general.